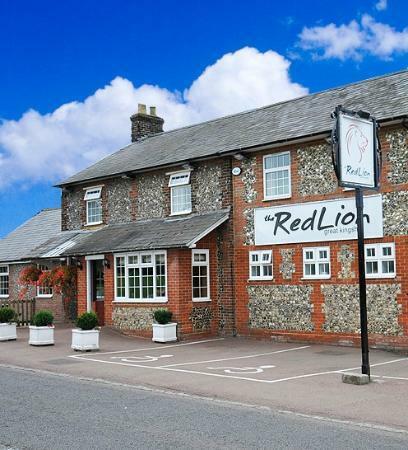 A relaxed atmosphere, attentive service, fresh seasonal food and all the charm of a country pub. Our mission is to provide the village and the surrounding area with top quality “local” food. We serve delicious restaurant food in an informal setting. Our philosophy is simple: to try and use as many local suppliers and services as possible. 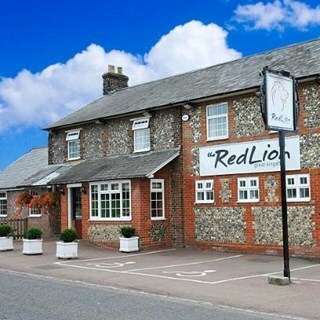 Our suppliers of fish, meat, vegetables, real ales and all our staff are from within a 15 mile radius. The Team, Dalila & Ezio welcome you. Very relaxed attentive service and atmosphere,  helpful and friendly staff. Excellent meal and service - highly recommended. Food was delicious and freshly cooked. A very welcome roast! Beef cooked nice and rare. All the food was fantastic. We came on the recommendation of friends and we are glad that we did. The food was excellent, piping hot and on hot plates (quite rare!) and really generous portions. The tiramisu was one of the best I have ever tasted. The service was impeccable with just the right wait between courses, staff friendly without being familiar. Can’t fault it. I have given only three stars for atmosphere purely because I found the dining room a bit stark, but this is a personal thing and others will not find it so. Very buzzy on the Sunday we visited. No hesitation in recommending to anyone. The Fixed price menu is especially good value and the food was delicious. Thank you. It was wonderful! Thank you so much to all the team. Staff were very helpful regarding my youngest grandson who has several food allergies. Pleased that there were 4 choices for the vegetarians in our family. Good selection on the menu for everyone. A very enjoyable family reunion, would definately come again when in the area. Delicious food, friendly staff and lovely atmosphere. My son even tried your Bubble & Squeak and loved it! (he doesn't normally like "new" dishes). Would definitely recommend and come back again! We enjoyed a very good meal, celebrating a family birthday. There was on vegan in our party and we were impressed that his needs were met. Thank you for the service and quiet atmosphere. Special occasion dinner for 14, great food with service to match. Nothing was to much for them, would definitely go there again. We mistaking ordered chicken roast dinner instead of a beef roast dinner for my daughter and when it came staff changed it immediately with no hesitation. Excellent food and service! First visit and will definitely be returning soon! My husband and I ate her  here on Valentines Day. We opted for the Set Menu, which consisted of a glass of Prosecco, an Oyster, Prawn Cocktail , Lamb Shank and Chocolate Fondant followed by a Limoncello liqueur. All this for £30.00 each and it was absolutely divine.!! We will definitely be going back soon. Thank you. Very pleasant evening. Came home completely sated. Can’t think of anything derogatory to say. Our first visit since this pub changed hands last year. Wonderful service, lovely food, big portions. Our menus were brought to the table where we were enjoying a drink before we sat down which I thought was a very nice touch . Ezio  was really helpful with organising a cake I had brought for the party . After presenting it exactly as per my instructions he removed it and sliced it without being asked . Both staff were really attentive but not overly so . We were a party of six who had visited before and we will definitely visit again . Thank you . I think the restaurant is quite sparse and open and could do with  more furnishings i.e. nice curtains, lamps etc which would  soften it and make it more cosy.